There is one certainty with cybersecurity and that is nothing is certain. Take for example the role the endpoint plays in keeping an enterprise secure. 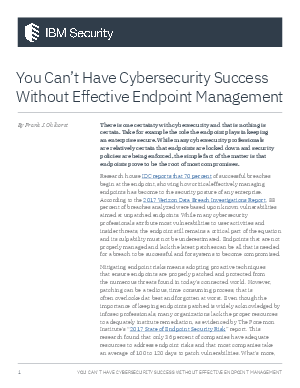 While many cybersecurity professionals are relatively certain that endpoints are locked down and security policies are being enforced, the simple fact of the matter is that endpoints prove to be the root of most compromises.